Join the ranks of ASVO members like Dr Anthony Robinson, ASVO President, Dr Terry Lee, our Senior Editor and Dr Bryan Coombe, ASVO lif member and Fellow of the Society who were Fulbright recipients. Available to postgraduate students, PhD researchers, academics, postdocs, and professionals, awardees will receive funding for full tuition/visiting researcher expenses at a U.S. institution of their choice, as well as travel and living costs. Executive Director of the Australian-American Fulbright Commission, Thomas Dougherty, says that the collaborative opportunities were ripe for Australian STEM professionals. “There is a significant appetite for international exposure among Australian researchers and STEM students, and this scholarship helps connect the best science minds with their counterparts in the United States,” Mr Dougherty said. The Australian-American Fulbright Commission is pleased to offer Fulbright Future Scholarships – our most generous scholarship program ever. This unique opportunity provides 100% funded opportunities for study and research program in the U.S., for projects that seeks to have a positive impact on the health, livelihoods and prosperity of Australians. 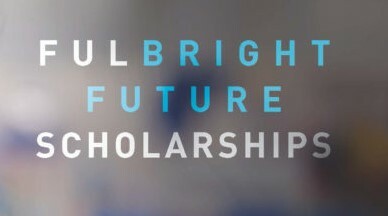 Applications for the 2019/2020 Fulbright Future Scholarships close 15 July 2019.